No so long ago, the only place to get good ice was at a restaurant, drive-through or store. Making your own ice at home involved the tedious process of whacking ice from your freezer with a mallet or baseball bat. Thankfully, many manufactures have turned towards residential customers, creating a wide variety of ice makers. 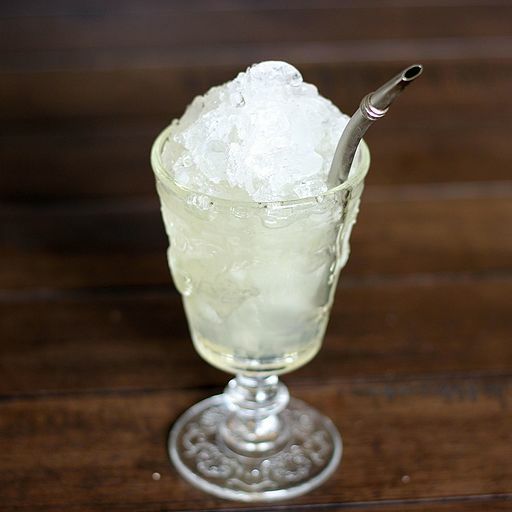 Even gourmet ice, once a preserve of fancy bars, can now be easily made at home. Many people have been especially grateful for Nugget ice machines that make the famous chewable Sonic ice. If you are thinking of adding an ice maker to your kitchen, here is a comprehensive guide to all the ice styles made by different ice machines. This is the kind most of us grew up with. You’ll find it in many homes as well as restaurants, cafes and bars. You don’t need an ice maker to make crushed ice. As long as you have a freezer that can produce solid ice, you can crush our own ice at home. There are several ways to do it. The easiest is to put chunks of solid ice in a plastic bag or a Lewis bag (recommended), and then use a wooden mallet to crush it. You can also use a clean baseball bat if you don’t have a mallet around. Another popular method is to crush ice in a heavy duty food processor or blender. This produces finer crushed ice, ideal for cocktails or munching. Crushed ice tends to chill drinks quickly but also melts faster than many other types of ice. If you don’t want it to dilute your drinks, stir it in your beverage and then strain it out. Blending with smoothies, cocktails and other drinks. Adding to snow cones and ice creams. Adding to drinking water bottles. In this case, the ice melting is not a problem..It is actually welcome. Adding to desert delicacies such as yogurt pops, shakes and slushes. This is another traditional type of ice preferred for alcoholic drinks, some cocktails and carbonated beverages such as soda. 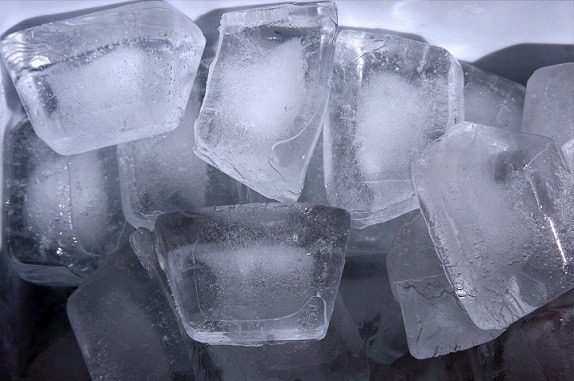 There are two major types of cubed ice: full cubes and half cubes. The main difference between the two is just size. Half cubes are ideal when you need more ice cubes in your drinks. Cubed ice is hard and usually clear. 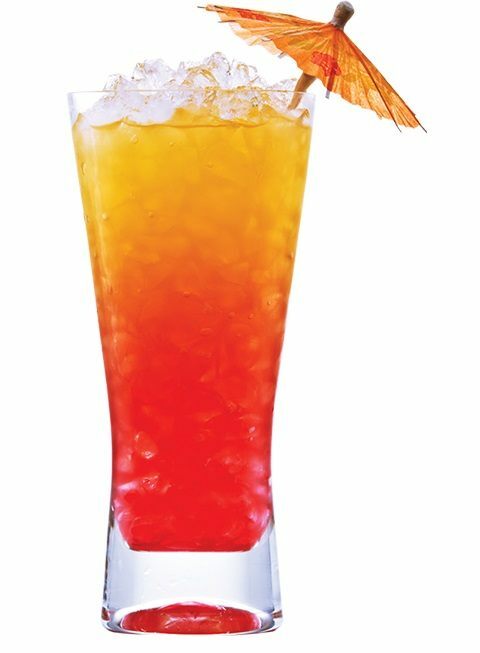 It melts slowly making it great for a wide variety of drinks where taste dilution would mar the taste of the beverage. You will find cubed ice in commercial places such as restaurants, bars and malls. Most low-cost home ice makers don’t actually make ice cubes (they produce bullet ice). You have to invest in a specialized ice cube maker, usually an under-counter or freestanding one. You can also use your freezer to make cubed ice. All you need is the right mold or tray and clean water. On the downside, it will take much longer to make ice cubes using your freezer and it may not be as hard and clear as cubed ice from an ice maker. You may also come across another close variety of cubed ice referred to as dice. It is just as hard and clear as an ice cube though with a slightly slanted (rhomboid) shape. There are full dice cubes and half dice cubes. Certain alcoholic drinks such as whiskey and spirits. Adding to drinking water in a glass. Restaurants, bars and other entertainment venues. This is the kind of ice produced by most residential ice makers especially the portable ones. The ice has an elongated bullet-like shape with a hollow center. Unlike clear ice cubes, bullet ice has a cloudy appearance. This is caused by air and minerals in the water. 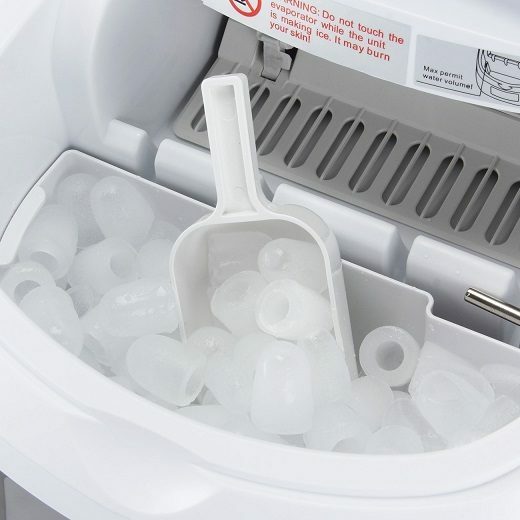 Most portable ice makers can make two or three different sizes of bullet ice. The smallest sizes are ideal for cocktails and chewing while the larger ones are perfect for drinking water, carbonated drinks and alcoholic beverages. Bullet ice falls somewhere in the middle of cubed ice and Sonic nugget ice in terms of hardness. It is not as hard as cubed ice and thus will melt faster. On the other hand, it is not as soft and chewable as nugget ice. If you don’t have an ice maker, you can get a tray with bullet-like molds. You just add the water and then put the tray in the freezer until the water freezes. This method is slow and cannot give you as much ice as with an ice maker. While the mold will take over an hour to freeze just a few ice bullets, a portable ice maker requires only 6 to 10 minutes to make a new batch. High end restaurants and upscale bars take extra care when making their ice. The ice not only has to chill their patrons’ dinks, it also has to look elegant in the glass. The ice is very clear to the point of being transparent. It is also extra hard. This ensures It can stay in a drink for hours without melting and diluting the taste. But you don’t have to go to the bar to get gourmet ice. 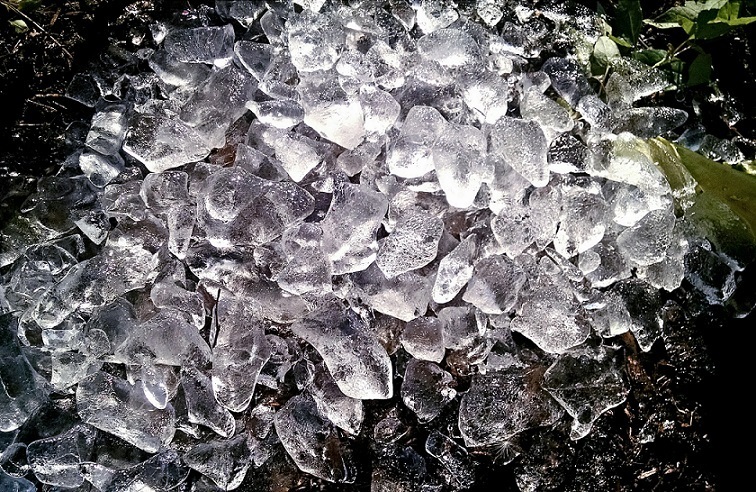 There are several residential ice makers today that can make this type of ice. A good example is the Scotsman CU50GA-1A Undercounter Gourmet Ice Maker. If you prefer something smaller and more compact, go for the Luma Comfort Portable Clear Ice Maker. You can also make gourmet ice in your freezer using a mold though it may not be as hard or as clear as gourmet ice from an ice machine not to mention the extra time and effort required. So whether the ice is for you, your frequent guests or a bar, I recommend buying a gourmet ice maker. Bars, restaurants, offices and homes. Nugget ice is the candy of the ice world: soft, a pleasure to chew on and almost addictive. Sonic Drive-Ins introduced the nugget craze with their crunchy ice. In fact, this type of ice has become so synonymous with the drive-in that its unofficial name is Sonic ice. Sonic nugget ice is great for cocktails, smoothies, juices and a variety of other beverages. It is even better for eating and can be crunched along with other foods such as ice cream and salads. As with gourmet ice, Sonic ice could only be bought at commercial outlets until several manufacturers started making residential nugget ice machines. With home nugget ice makers, you can make your own Sonic style ice cheaply and quickly. The two most popular brands of Sonic ice makers are Ice-O-Matic and Scotsman. You can see the best Nugget ice machines in our full guide. There are various tricks to making nugget ice without using a specialized ice maker. But they are tedious, inefficient and you most likely will not get quality Sonic ice. So just get a good quality nugget ice maker and enjoy endless amounts of chewable ice at home. Homes, offices, restaurants and bars. Shaved ice is often confused with crushed ice though they are not the same thing. 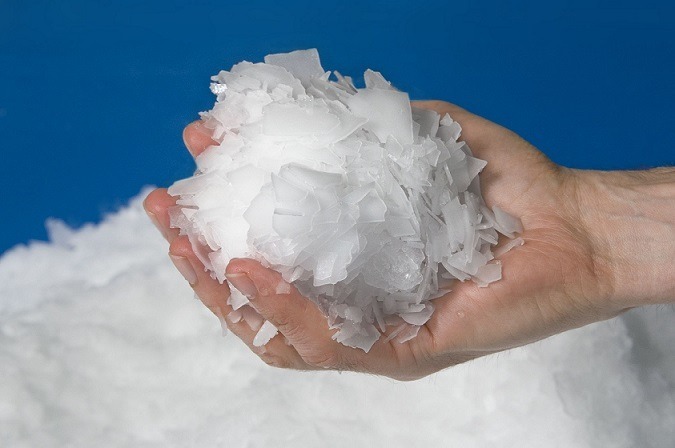 While crushed ice requires just a mallet or hammer, making flaked ice takes a bit more work. The best shaved ice is made using specialized ice shaving machines. They take full ice cubes and cut them down to thin flakes. An alternative method is to use a blender or food processor. You simply place full ice cubes in the appliance and then break them down into smaller bits. The downside with this method is that the ice shavings will not be as perfect. There is the risk of going too far and making crushed ice instead. Shaved ice is common in ice creams especially of the Hawaiian variety. By using various colors and flavors, you can also make your own shaved ice cream at home. Flaked ice is also common in grocery stores where they use it to display fish and other produce. The flakes are hard and don’t melt quickly, ensuring they keep products chilled for long. Restaurants also use it in salad bars while bakeries use flake ice to keep dough cold. Crescent ice is a subcategory of gourmet ice. It is clear and extra hard. The only difference from traditional gourmet ice cubes is the shape and size. Crescent ice resembles…well, a crescent. Unlike the hard angles of an ice cube, crescent ice has curved edges and is usually smaller. Crescent ice is not popular in homes. You will mostly find it in fancy restaurants and bars. One of its advantages is that it does not splash when you pour a drink into it. The curved shape allows beverages to flow smoothly over it. Reduced splashing means less wastage for bars. Due to the smaller size of crescent ice, you can fit more of the cubes in a single glass. Only one or two of traditional gourmet ice cubes can fit in a single glass. If you want crescent ice in your bar, restaurant or at home, invest in a specialized crescent ice maker. A good example is the U-Line UBI1215SOD00A Built-in Crescent Ice Maker, which can produce 25lbs of crescent ice per day. The ice ball is where you’ll find all the artistic creativity of ice lovers. From alien-like ice balls to clear globes, there are plenty of unique styles to choose from. Ice balls are a form of gourmet ice. They are round and big. You can only add one ice ball to a glass. Like gourmet ice, it is hard, which ensures it takes its time to melt. There are no specialized ice ball machines. The easiest way to make an ice ball is using a tray mold. There are many different types of trays some with only a single mold and others with as many as six or more. 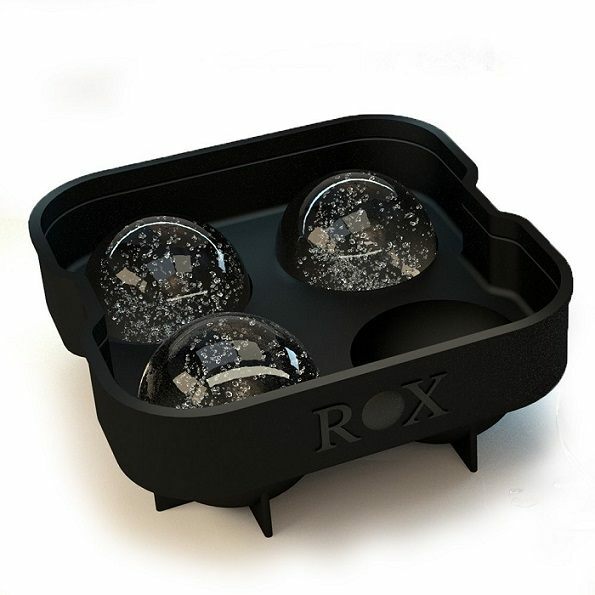 Some companies even sell custom trays which come in handy if you want a unique ice ball style for your bar. 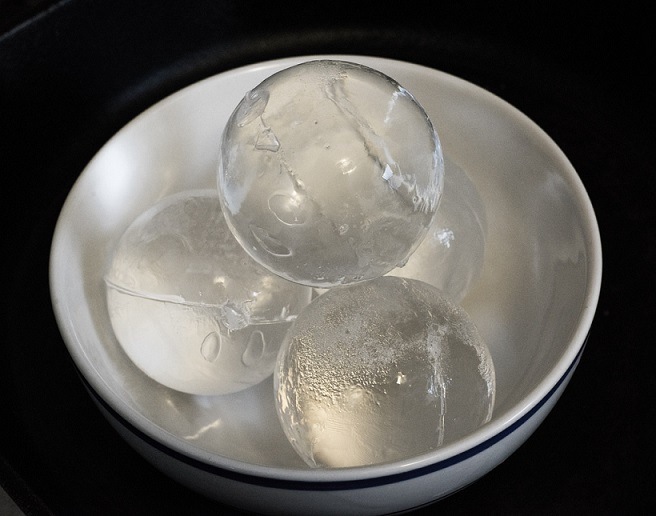 Most homemade ice balls have a cloudy white appearance. If you want a gourmet-style clear ice ball, use filtered water. You can also boil it beforehand to get rid of trapped air bubbles inside the water and which cause the cloudy look of most ice cubes. But even then, getting perfectly clear ice balls is not easy. You’ll just have to be satisfied with something close to the professionally made ice ball you would get at a bar. Homemade beverages such as cocktails and fruit juices. Kids popsicles (using flavored ice balls). There are two main factors that determine the quality of ice you make. The first is the water you are using. Remember that ice is just water frozen solid. So the type and quality of water used will greatly determine the ice you get. The most important thing is to use clean and safe water. Make sure it is water you can drink yourself. You can then use methods like filtering or boiling to change the ice quality. For instance, using filtered or boiled water tends to make the ice clearer and harder. The second factor is the equipment you are using. 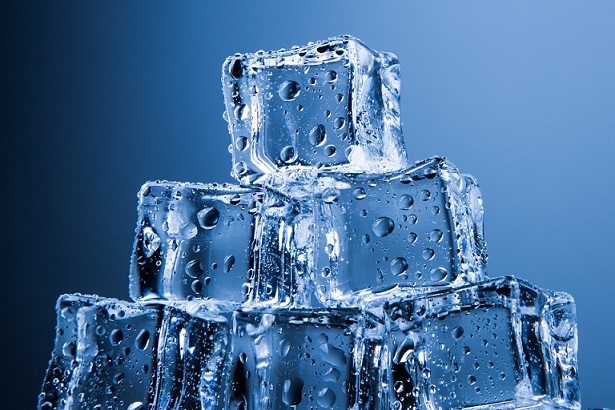 Different ice maker units produce different qualities of ice. Some machines make clear ice while others only produce nugget ice. So make sure you buy the right ice maker to get the kind of ice you desire. Additionally, keep your machine clean and well maintained. Otherwise, your ice will taste and smell stale. Ultimately, the best ice maker and ice style depends on your specific situation and needs. Do you need the ice for a bar or homemade cocktails? Do want to make ice cream cones or popsicles? We have added a ‘Best For’ section under each ice style to help you choose the one that best fits your needs.